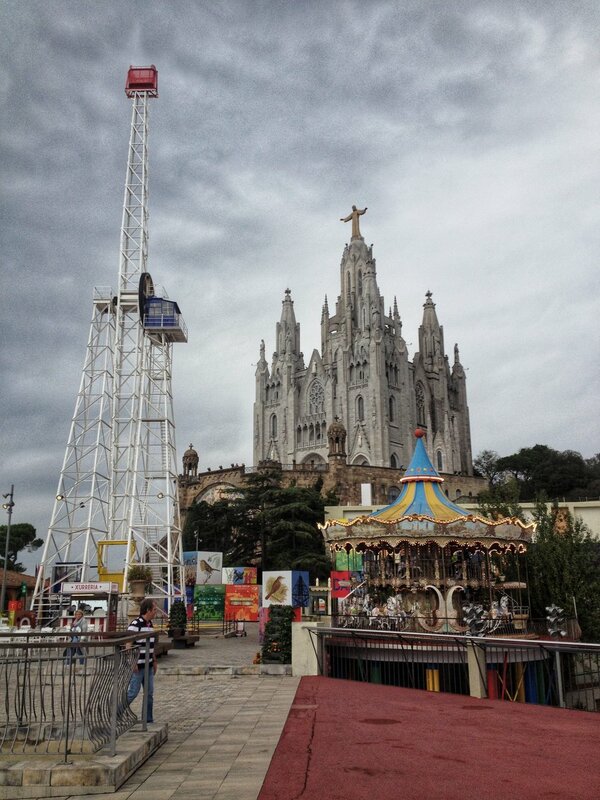 The first place we reached on the outskirts of Barcelona was the Tibidabo mountain with the famous Tibidabo Amusement Park on top of it. 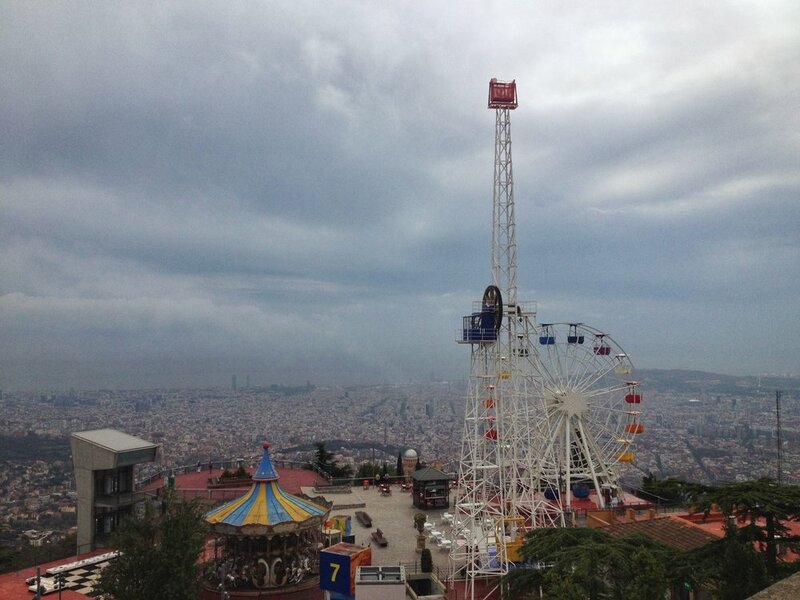 Opened in 1905, it is one of the oldest amusement parks in the world that is still operating today, but even on a foggy and rainy morning, the best amusement we found there was the panoramic view overlooking Barcelona at 500m above sea level. And it was totally free. So was the only other free ‘attraction’, the enthralling Temple Expiatori del Sagrat Cor. After taking in all the views, our second stop was Parc del Laberint d'Horta and little did we know ALL of our stuff was being nicked from our car while we were there so the rest of the day was spent hanging out in the police station, arranging a new rental car and visiting the local Primark for some essentials. Read all about how not to let that happen to you here. 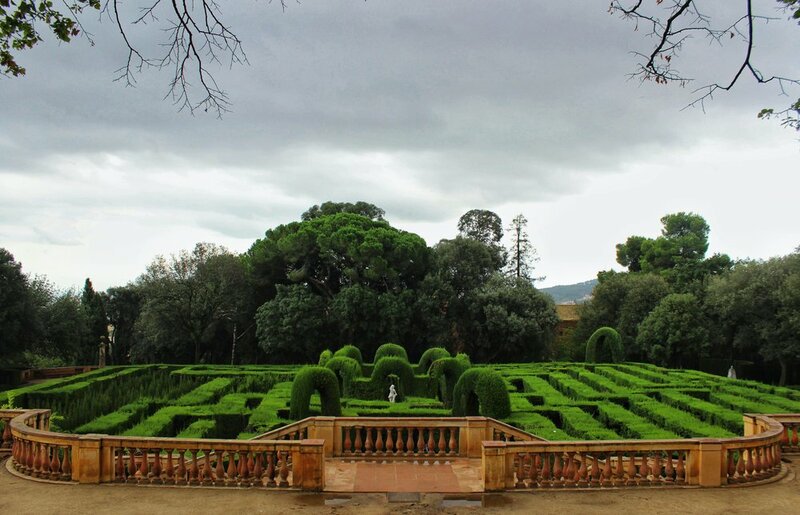 We would not be entirely honest if we would say it didn’t taint our experience at all but putting the bitterness aside, the Labyrinth Park of Horta has a truly extraordinary atmosphere and feeling kind of enchanted by the place, we spent a good hour wandering around it. 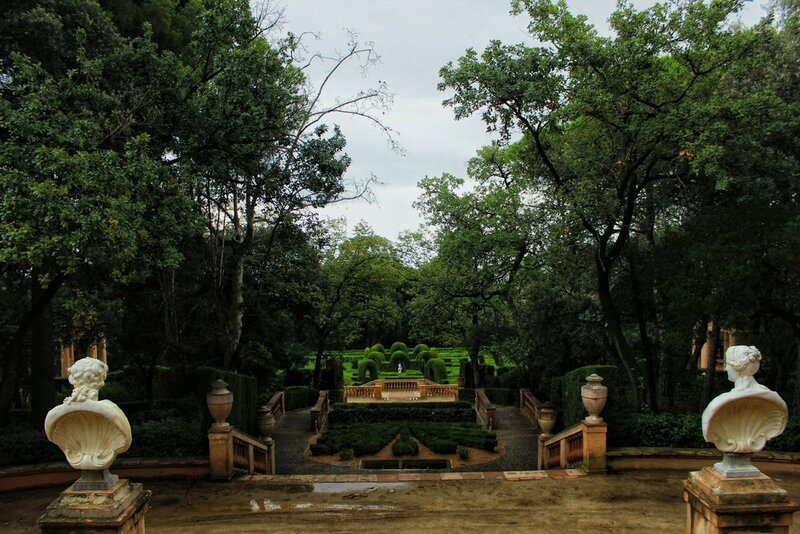 Designed in late 18th century, it is Barcelona's oldest garden comprising neoclassical and romantic styles. On Wednesdays and Sundays the entrance is free. As for the rest of the day, we were pretty much drowning our grief at La Barceloneta beach with as much Estrella tins we could shake what was left of our cash at that night. Good place to be no matter what mood you’re in, with lots of locals and tourists hanging around even after dark, watching the stars, hearing the waves roar and getting your feet wet will set you straight. 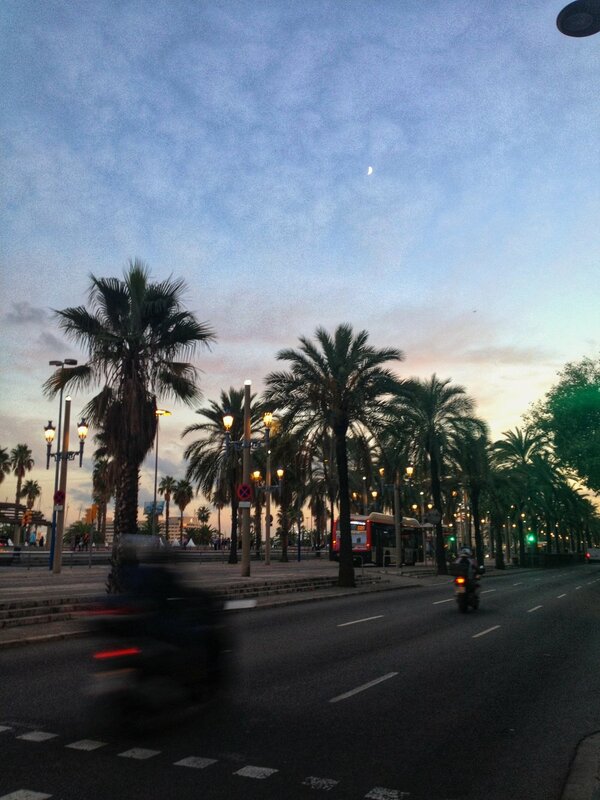 Probably the most famous street cutting through the city centre, Las Ramblas is buzzing with locals and tourists. 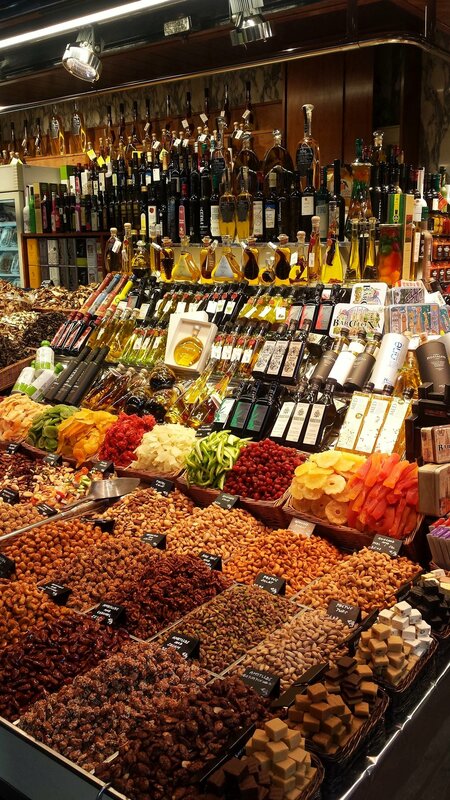 Don’t give Mercado de la Boqueria a miss, it’s one of Europe’s biggest markets and it has all kinds of veggies, spices, wines and delicacies you might fancy. An interesting little discovery was Palau Mornau. It houses a Marihuana & Hemp museum, with a modest free exhibition (the museum itself is 7.50 euros) in Barrio Gótico (Gothic Quarter) of the city. Magic Fountain of Montjuïc is another free treat. The magic comprises of colour, light, music and water fountain acrobatics sequences. It’s a pretty cool thing to witness even though you will most likely have to beat hoards of tourists to get a good spot but it’s worth it. Check the timings here . Lastly, you cannot visit Barcelona and miss some of Catalonia’s most famous modernist architect's Gaudi’s masterpieces. They all have paid entry, however if you cannot afford to spend 10+ odd euros for each and want to only choose one, go for Sagrada de Familia. It is Barcelona’s most popular tourist attraction so we do suggest to book a few weeks in advance because during busier periods tickets might sell out for certain time slots. Basic tickets are 15 euros if booked online. Other Gaudi’s buildings to admire from outside – just strolling down Passeig de Gràcia, you’ll find Casa Batlló, also known as ‘the house of bones’ due to the shape of its exterior,Casa Milà or La Pedrera and a bit further away, Palau Güell.